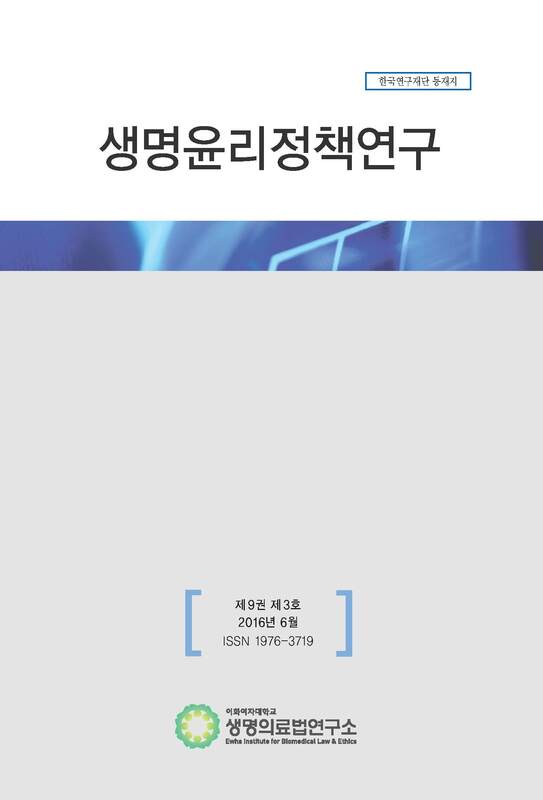 IRB로서의 역할을 수행함에 있어 고려하여야 할 사항과 이와 관련한 법적인 측면에서의 개선사항에 대해 알아보고자 한다. be used. So, the IRBs of these research institutes must have the capacity to review and to inspect and supervise these researches more professionally. and the conduct of its roles are based on the law in Korea. So, some provisions related to these IRBs will be able to be amended to support the remarkable activities of these IRBs.